We Are Social’s 2015 report covers internet, social media & mobile usage statistics from all over the world. Global, regional overviews, and in-depth profiles of 30 of the world’s largest economies. 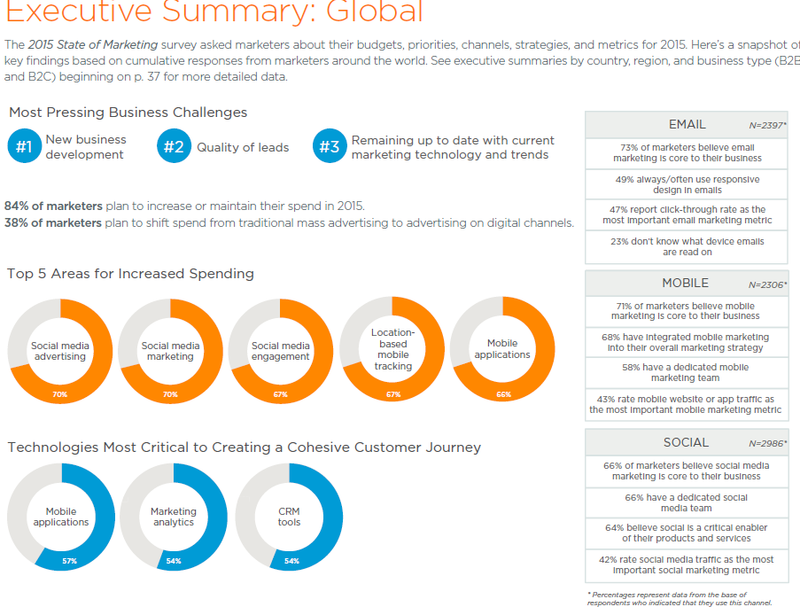 Salesforce’s 2015 State Of Marketing Report – What Marketers Should focus on? Salesforce has released its 2nd annual report on marketing called as 2015 State of marketing. It includes the challenges facing, pressing issues, changes from 2014 to 15 & others. 84% of marketers plan to increase or maintain their spend in 2015. 38% of marketers plan to shift spend from traditional mass advertising to advertising on digital channels. 86% of senior-level marketers say that it’s absolutely critical or very important to create a cohesive customer journey.73% of marketers believe email marketing is core to their business. Social media & mobile are the key areas most would want to focus on. India’s biggest beer, kingfisher(kf), has used oculus rift for creating a “beer coaster”. On the epic 10th anniversary of #KFOctoberfest, A free beer was given for those whose pulses raced the fastest, with the beer emerging from the dispenser during installation. Ad agencies, marketers, brands & others have been experimenting with new ways to connect with the customers & kf has used oculus rift to connect with customers. Modi’s Make in India has become the biggest & fastest growing Digital Initiative with more than 2.1 billion impressions on social media. 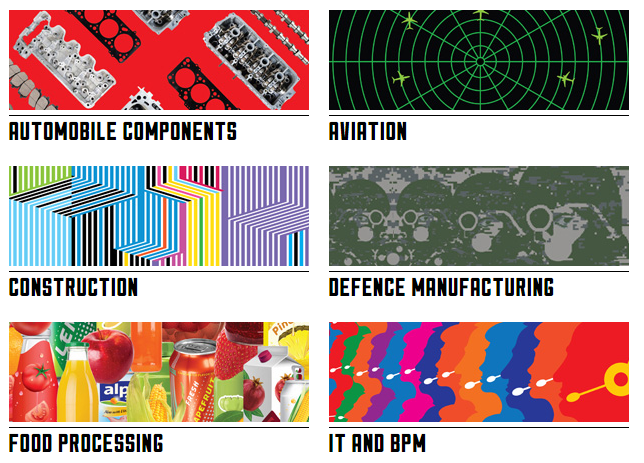 This is initiated by the Department of Industrial Policy and Promotion initiative. It adds a new member every 3 seconds on facebook & has created a ripple effect across all the digital platforms. It has more than 3 million fans on facebook. Twitter has also lakhs of follwers with several lakh views on youtube. The official website has also received millions of page views.